She’s a modern smoosh of two twentieth century staples. Thanks to Deanna for suggesting Amberly as our Baby Name of the Day. The obvious explanation for Amberly is that she’s a combination of Amber and Kimberly. Amber refers to fossilized tree resin, though the word comes from the Middle Latin ambar from the Arabic anbar – which originally referred to a waxy substance harvested from whales, once used in perfume. (Really!) The resin has been valued since ancient Greece, where it was related to the sun god Helios. Back in 1880, Amber was already in the US Top 1000, and she appeared most years through 1916. Then Amber disappeared, resurfacing in 1945 thanks to a scandalous novel about opportunistic, beautiful Amber St. Clare – named for her unusual eye color. Forever Amber was a sensation, describing the travails of a young orphan determined to make her place in society circa seventeenth century England. A 1947 film adaptation followed, and despite Amber’s preference for affairs over marriage, the name quickly caught on. By 1974, Amber entered the Top 100. By 1982, she hit the Top 20 and stayed for a decade. Today Amber ranks #260. Then there’s Kimberly. She debuted in the Top 1000 in 1946, shot into the Top 100 by 1956, ranked #2 in 1966 and 1967 and spent 1964 through 1967. That’s a meteoric rise, and she remains in the Top 100 today. Strictly speaking she’s an English place name of debated origin – each place may have a different backstory. Extinct feminine personal names and the familiar -leah – clearing – might be a part of it. 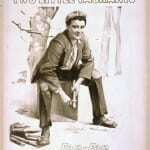 The Earls of Kimberly come from Norfolk; they’re also the reason the South African town shares the name. The British fought a decisive victory at Kimberly during the Second Boer War, propelling Kimberly into use as a given name. Some accuse Kimberly of being stolen from the boys. Maybe in the UK, but in the US, Kimberly caught on for both genders at the same time. Actress Kim Novak – born Marilyn– helped push it into wider use as a girls’ name in the 1950s. But as you can guess from the photo, Amberly has independent origins, too. 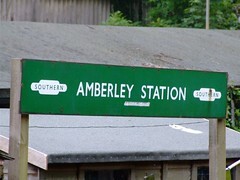 Amberly is a place – three places in the UK, and some elsewhere. It’s in very sparing use as a surname, but I can’t confirm the name’s origins. There should be a case for Amberly as a given name. It does appear sparingly in Census records prior to the 1970s, but in those cases, Amberly is likely to be male – making it a safe bet that it’s a family surname. Amberly’s trajectory as a given name for girls follows the rise of Kimberly and Amber, rising from the 1960s into the 1990s, with between 100 and 200 girls receiving the name each year from the 1980s through the present. John Jakes – best known for North and South – used Amberly as a character’s surname in 1974, possibly giving her a boost. Call her a modern discovery with some precedent in history. She strikes me as too close to Amber and Kimberly to feel truly original today, and yet she’s not common, either. If you’re looking for an update to Amber, she’s a candidate. I on the other hand have to say I completely fell in love with the name Amberleigh and chose to name one of my twins that. It’s pretty and unique. I know an Amberley in real life. I like the name…it’s a unique way of altering Amber. I knew an Amberley growing up, she’d be in her early 30s now. I never made the Amber + Kimberley connection. I always assumed that maybe it was a surname. She was a very original person so her original name suited her, I thought. I think it’s sweet. I used to hate Amber so Amberly was a way to make the name more appealing. But lately I’m liking Amber slightly more. Which means I still don’t like it, just dislike it less. But I like Amberly less. Amberlie would be ok, I guess, but I really don’t see the need for Amberleigh. I’ve always liked Kimberly though. But never Kimber (which seems to me the opposite of Amberly, instead of smoosh to soften a popular name and be different, a chopped off version just a little less sweet than the original). I find Kimber strangely appealing, but I know what you mean about the name feeling chopped off. Amberly reminds me of assorted adverbs like merrily/gingerly/haughtily etc. She did what amberly? I also would prefer just Amber. It sounds stronger to me, less embroidered? But the -ly sound for girls sounds both a bit soft/wispy (“that r sound is so hard, can we make it sound less definite?”) and a bit on-trend amongst all the -ley and -leigh names. Amberly does go better with Kaylee, Bailey, and Ashleigh, though… if that’s what you’re looking for. Ditto Sarah A.’s I prefer Amber to any of her elaborations. Amber is the grandmama of Crystal & Tiffany, to me. Elegant, simple, sweet & lovely, that’s Amber. Amberly sounds too smushy for me. Weird because I adore the similar sounding Cecily. Maybe I dislike it’s surnamey vibe? Dunno, but Amberly is so not for me. No offense to any Amberly’s out there, but this is one of those few names that seem nice enough but just make me think “ewww”. Ditto Amberose. To my ears it sounds like a smoosh of not only Amber and Kimberly but the word ‘ambulance’. Amber might feel dated to some, but I much prefer the simple gem to any of her elaborations. There’s also an episode of Law and Order: CI featuring a Liza Minelli as a pageant mom to a murdered Amberleigh; it’s loosely based on Jon-Benet Ramsey, and I think they chose a smush-name to echo hers. It just sounds silly to my ear. *Called, not card. Typing on tiny phone in the dark. Sorry. Oh dear – I think the writers nailed it with Amberleigh. It is the kind of super extravagant name that I wouldn’t be surprised to see turn up on reality television.